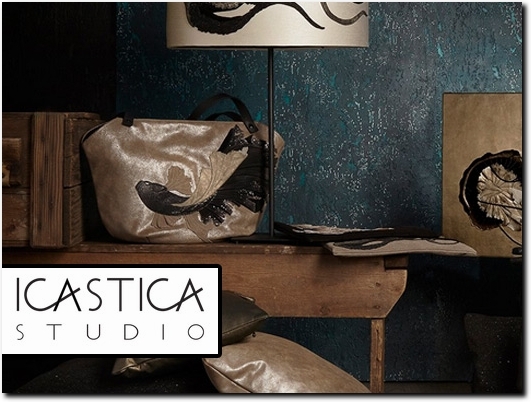 Icastica Studio is a London based and female-run artisan company that creates exclusive handmade leather handbags and bespoke home decor, combining Italian craftsmanship with unique artistic flair. At every stage, from inception through to completion, products are handcrafted with a strong focus on high quality and individuality, using quality and sustainable leathers carefully selected from Italy in person. Each individual item is made truly special by the use of appliqué decorations created from the original combination and development of embroidery and quilting techniques. UK (London) based business - established in 2015 - providing handmade leather fashion accessories. Website includes e-commerce facilities, delivery and returns information, terms and conditions, press mentions, associations, full contact details.